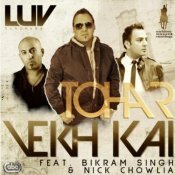 Check out the brand new single from Luv Randhawa featuring Bikram Singh entitled Tohar Vekh Kai! Production from Nick Chowlia! !